This 10 day Zimbabwe luxury lodge package takes you to the wildlife highlights of wild Zimbabwe. 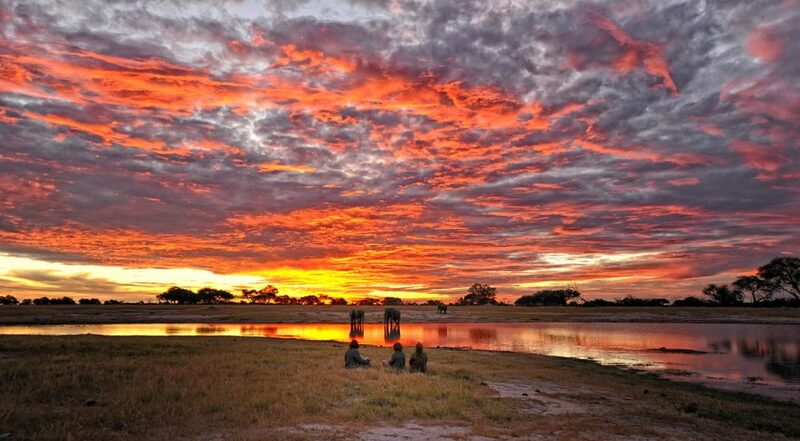 This incredible country is home to some of the most untouched, pristine wilderness areas on the planet, as well as a huge variety of ecosystems and habitats, making Zimbabwe a safari destination of a lifetime! Prepare for an off the beaten track authentic safari experience (with all the comforts of five star luxury lodge accommodation!). From Victoria Falls International Airport you will be transferred by road to Somalisa Camp. 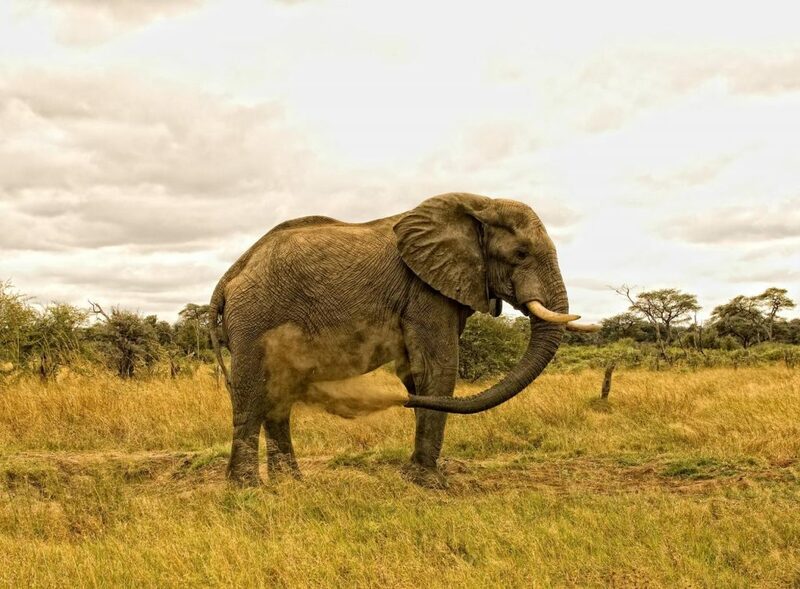 Somalisa is set in the heart of Hwange National Park, and is known for its big elephant herds. Nestled in a remote location, on an acacia island along the edge of an ancient seasonal flood plain, Somalisa provides guests with breathtaking views of savannah plains. 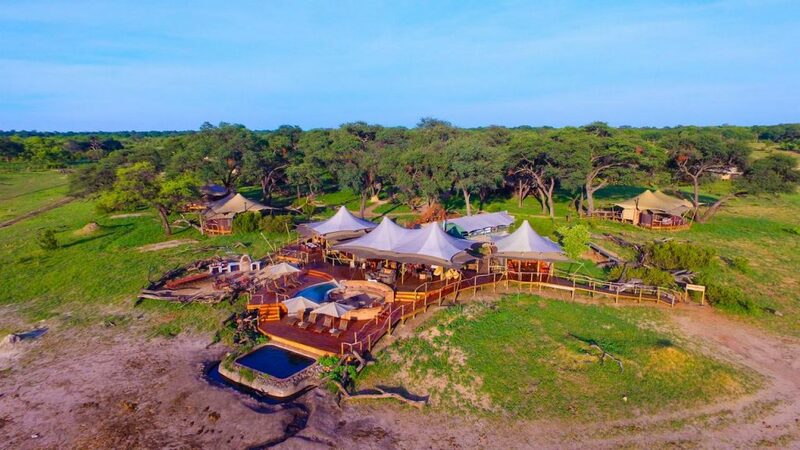 Recently re-built, Somalisa Camp has upgraded its level of accommodation to that of utter comfort and luxury, with absolute focus on customer service. Consisting of seven elegantly furnished ‘sail tents’ with gauze sliding doors, a glass wood-burner fireplace for the cold winter nights, and an overhead fan for the hot summer days, each tent has en suite bathroom facilities, including flush toilets, an indoor and outdoor shower, and copper slipper-style bathtub. 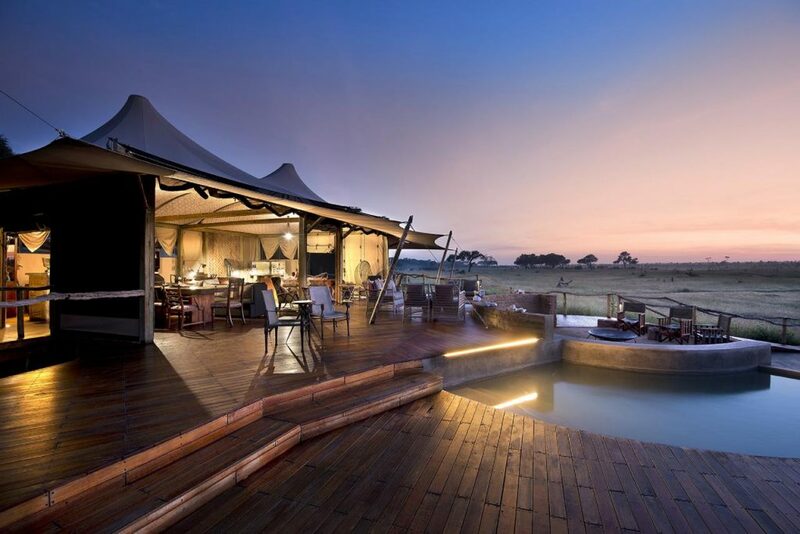 The main decking area includes split level decking with a separate lounge and dining area, as well as a small splash pool for guests overlooking the natural waterhole where herds of game congregate to drink. 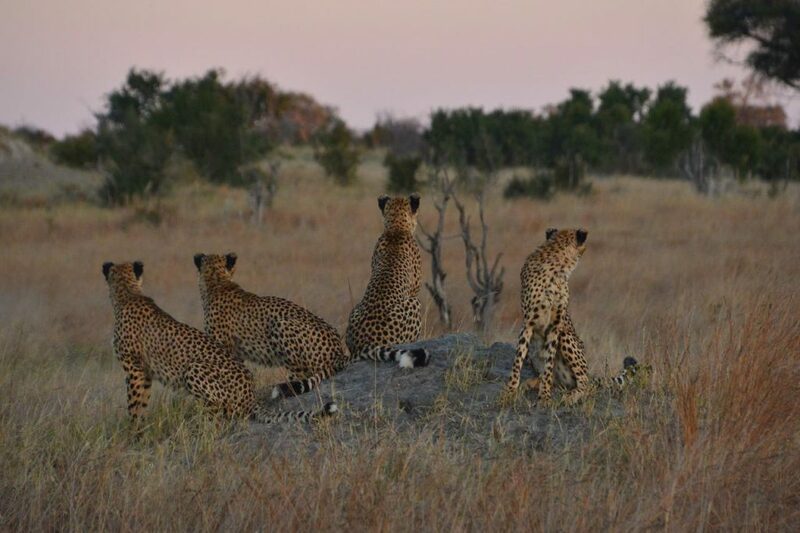 Activities include guided walks lead by qualified and knowledgeable guides, game drives and night drives. The life-giving power of the Zambezi River makes Mana Pools National Park one of Zimbabwe’s most lush areas. 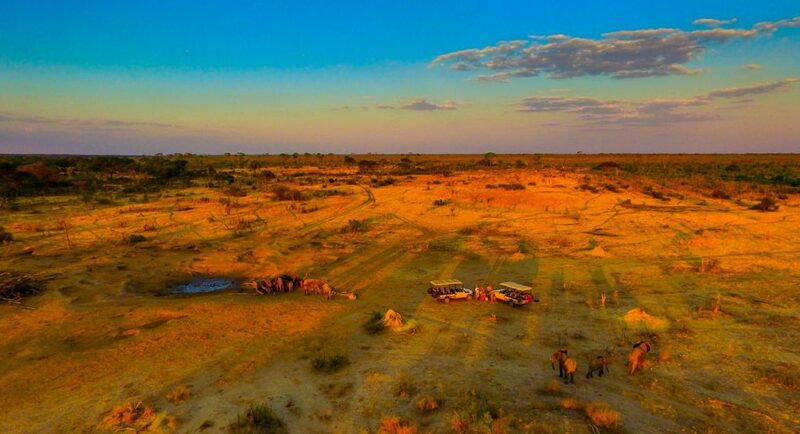 This area is the country’s second World Heritage Site and is known as one of the continent’s greatest game-viewing regions. Canoe trips are offered year round and provide a unique and memorable way for visitors to experience the area’s striking scenic beauty and diverse fauna, while guided walks are a great way to take in its pristine riverside forests. ​On day four we make our way via light aircraft to remote Kanga Camp. 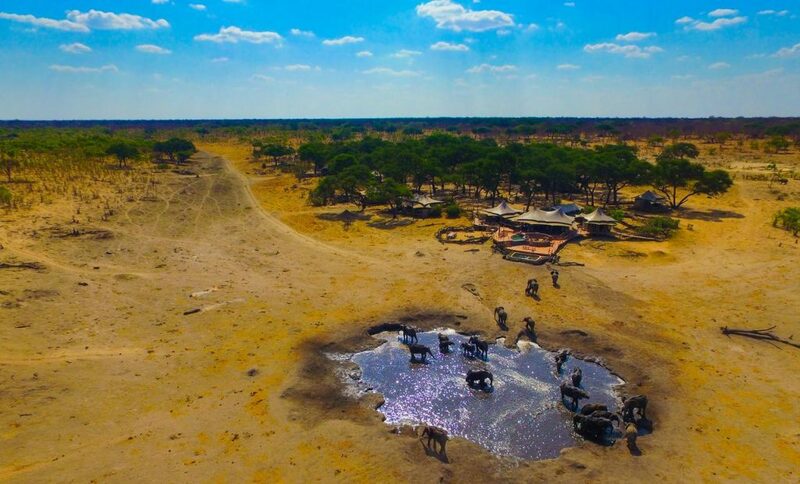 This camp is built around the Kanga Pan, the only permanent water source in the area, making it a hub for wildlife and a delight to explore on foot. Pristine and undeveloped, this area gives you a unspoilt, private African safari experience. 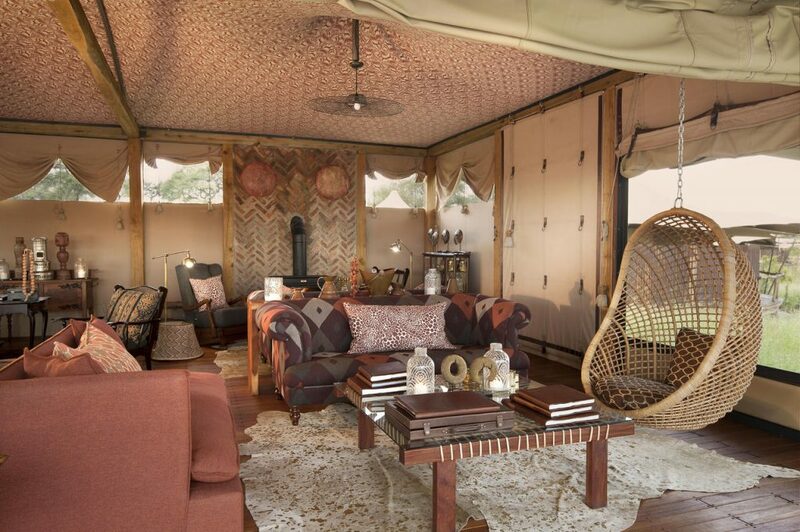 ​This 12 bedded luxury tented camp comprises of six luxury meru-style tents all furnished simply yet elegantly, with en- suite bathroom facilities, which include flush toilets and running hot and cold water. Two of the tents are honeymoon units with a private deck for dining and relaxing in the afternoons. The honeymoon units can also be converted into a family units on request. ​On day seven we transfer via road to Zambezi Life Styles in Mana Pools. 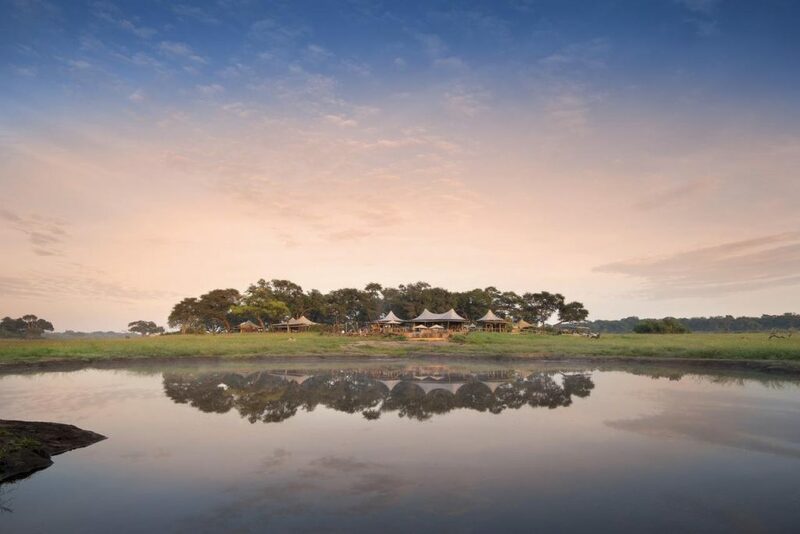 This camp offers one of the best ways to experience Mana Pools, nestled on the banks of the mighty Zambezi River. The eight-bed luxury mobile camp is set up prior to your arrival. 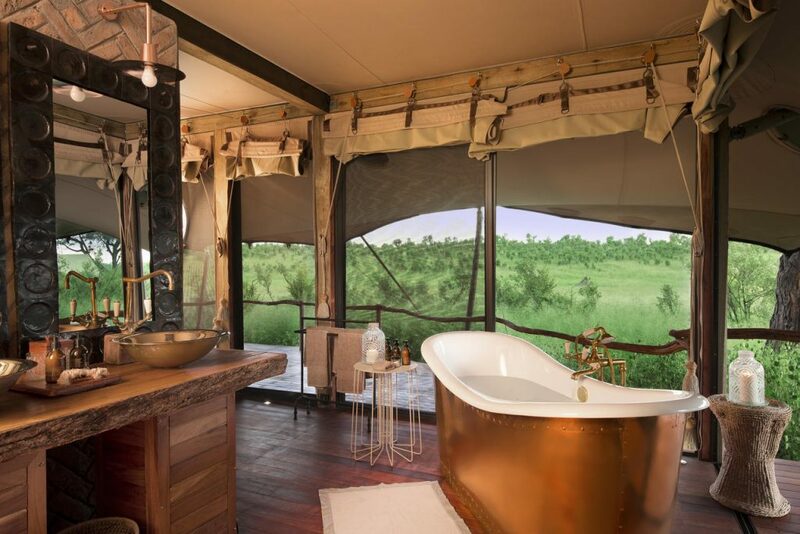 Comprising of four twin bedded mini-meru style tents, with en-suite bathroom facilities including flush toilets and al fresco bucket showers, the camp gives luxury camping a new standard! A 12-bedded camp consisting of six tents can be set up for a single group on special request. ​The camp has a minimum stay of two nights for a minimum of two people and is the perfect combination to include with Kanga Camp for a riverside and inland Zimbabwe experience. Activities include game drives, walking safaris, canoeing safaris, fishing and bird watching. One of the original natural wonders of the world, Victoria Falls is a World Heritage Site. Known locally as ‘The Smoke that Thunders’ this spectacle is accessible from both Zambia and Zimbabwe, and is an ideal place to combine game viewing and adrenalin-surging water sports. There is excellent fishing, a terrifying bungee jump and arguably the best commercial white water rafting in the world. On day nine you transfer via light aircraft from Mana Pools to Victoria Falls International Airport, and then by road to Victoria Falls Safari Lodge. The lodge has won numerous awards of high repute, including the 2012 Top 10 Resorts & Safari Camps in Africa as voted by the distinguished international Conde Nast Traveler magazine. 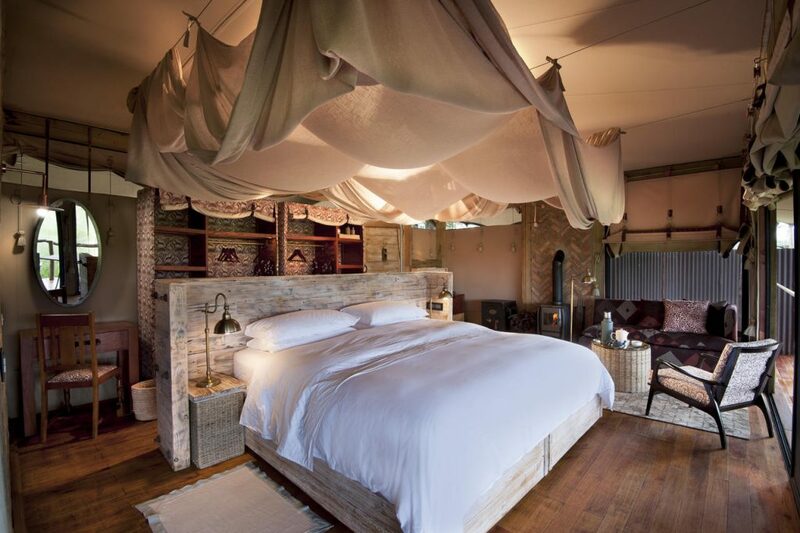 The lodge has also won Best Safari Lodge in Zimbabwe for an astounding 17 years in succession. The 72-room Victoria Falls Safari Lodge has unparalleled ambience and offers sublime hospitality. With views of the waterhole and wild African bush, it’s hard to beat this prime location, and the lodge is perfectly positioned to enjoy activities above and below the Falls. 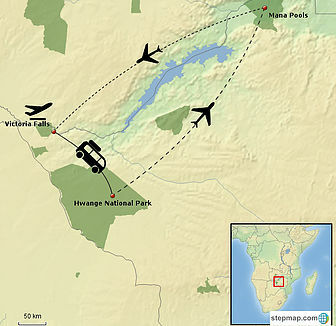 Your safari ends on day 10 with a transfer to Victoria Falls Airport.